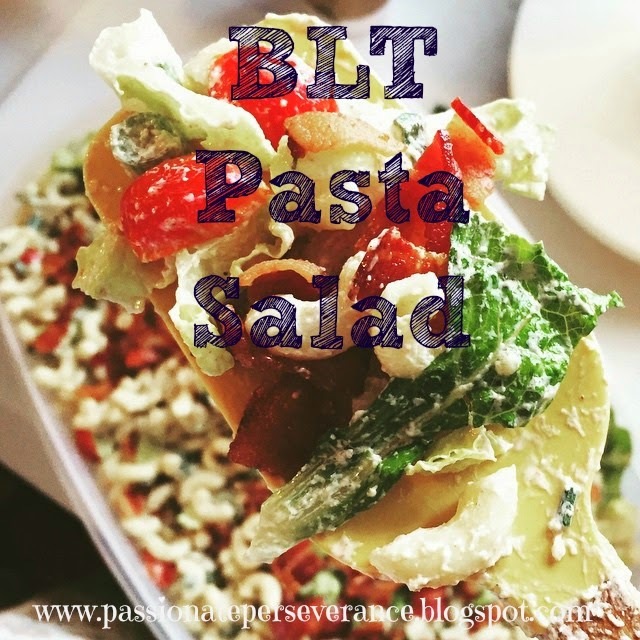 It has been months, many, many months, since I have shared a Tasty Tuesday recipe. I haven’t spent much time in the kitchen in the last year but then that’s just life I suppose. My time was not wasted holding and loving on my Courtney before she made her way home to Heaven. I do not regret one frozen meal, not one, that allowed me more time with my Sunshine. Today’s recipe is a keeper for certain and for sure. 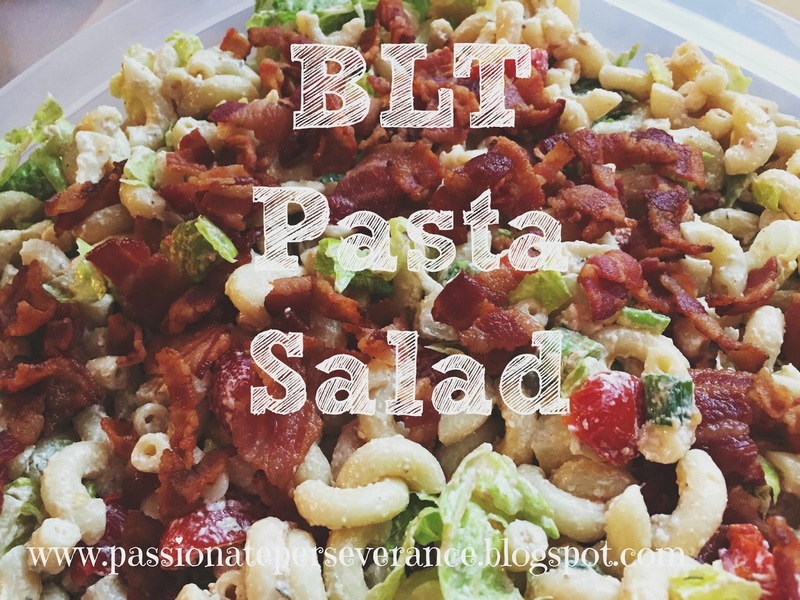 It has pasta, my sons favorite, and BACON, my hubby’s favorite. Therefore, it’s a win win for me. The key here is properly drained pasta and lots of bacon. So very good my friends. This recipe was very slightly adapted from Melissa’s Southern Style Kitchen. Cook the elbow macaroni in salted water per the package instructions. Drain well. This is very important. I use my salad spinner to help me with this. If you don’t get all the water out, your salad becomes very soggy. Soggy is not yummy. In a large mixing bowl, whisk together the mayonnaise, yogurt, apple cider vinegar, celery salt, onion powder, garlic powder, smoked paprika, dill and black pepper to taste. Just before serving, mix in the sliced green leaf lettuce and crumbled bacon. Mary, I just made a batch of this and ate my first bowl. Delish! Thanks for sharing!